How many times have you paid for a gym membership, only to go two or three times, then give up? Standard exercising is a great way to build muscle and stay fit, but it can get boring pretty fast. Going to the gym can be exhausting and intimidating, especially if you’re a newbie, and working out from home can save you time, but it’s confusing if you aren’t sure what you’re doing. Luckily, there are so many other ways to get yourself in shape and by finding something that you genuinely enjoy and won’t consider a chore, you stand a far greater chance of sticking it out in the long run. 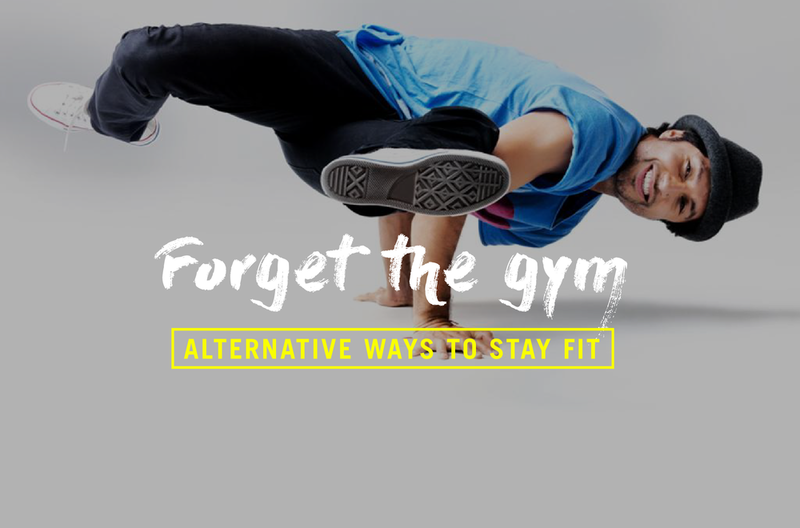 Here are a few slightly odd, but highly enjoyable alternative ways to get fit. Fencing doesn’t even cross our minds when we think about exercising, but it’s actually one of the most intense workouts out there. Not only is great for your arms - your legs and abdomen are going to be under constant strain, so you’ll build muscles pretty fast. A proper posture is essential for any fencer, and you’ll learn how to move quickly and gracefully as you thrust and lunge at your opponents. The best thing of all, fencing is remarkably fun. There are two types of fencing you should check out. Olympic fencing, which uses thin, rapier style swords and HEMA (Historical European Martial Arts), which has actual, steel swords and closely resembles what swordsmanship looked like in the past. Both have their own perks, but it all depends on what you enjoy. Olympic fencing is all about speed and finesse; it’s an incredible sport with its own set of rules. HEMA, as the name implies, is more of a martial art with a focus on history. How would you like to carry your own longsword and pretend you’re a knight? Well, here’s a way to bring some creativity into your training. Skateboarding is something rebellious teenagers do, right? Wrong! 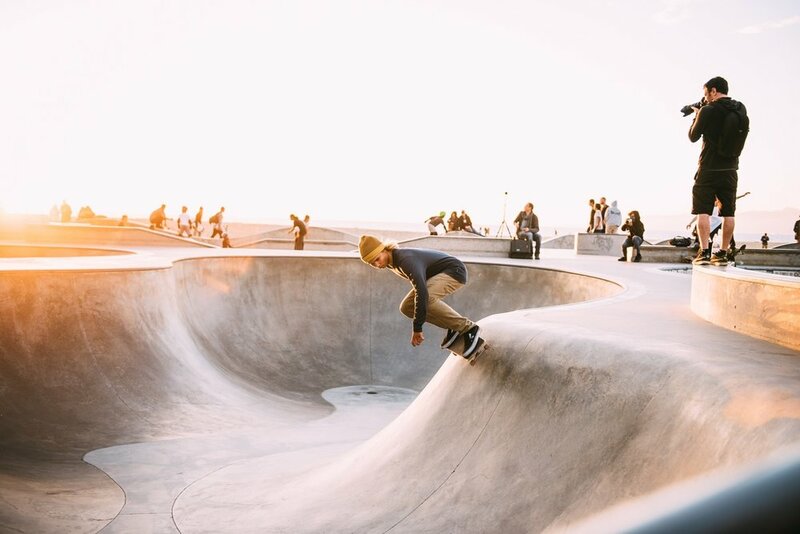 Skateboarding is a great way to stay in shape, and most importantly, it’s fun. Once you master the basics of finding your footing and getting a feel for the board, you can use it to get around the neighbourhood at lightning speed. This way, you’re exercising without even realising it. The skateboard itself is quite unique as it allows for creativity and freedom of expression. There are many places where you can have custom skateboards made, so you can go wild and paint your skateboard in any way you like. Make it personal and interesting and you’ll be encouraged to keep using it! What better way to lose calories than dance to the heated sounds of salsa, or the quick beat of hip-hop. Dancing is something that can be suited to practically any taste. Well, unless your favourite music genre is ambient, elevator music, I suppose. From Latin dances to Zumba, hip-hop and ballet, there’s something for everyone. How about belly dancing, or cabaret if you want something more interesting? Dance classes will never feel like real exercise, yet they are an excellent way to keep you in shape. It’s also a fantastic way to relieve stress and forget about your worries for an hour or two. You’ll meet a lot of new people and learn a fun new skill that will improve your posture and balance, and help tone your muscles. One of the biggest mistakes when it comes to getting fit is trying to stick to something you don’t like. There’s nothing wrong with not liking the gym and you should never force yourself into an activity or exercise plan you feel isn't sustainable. That is why it’s essential to experiment. Find something that motivates you and you will keep coming back to it. With a proper diet plan and some effort, you’ll see results in no time at all.